It's an unavoidable truth about being a Pretty Little Liars fan: inevitably, at some point, you'll find that the show and real life begin to resemble each other. Not only is your BFF totally a Hanna, but you find that you start to emulate Aria's eclectic fashion sense. On top of that, every time you ace a test, you want Spencer to high five you and Emily is totally your inspiration to go out for field hockey. And, if you've been a Pretty Little Liars fan long enough, eventually you'll find that you think you're A. 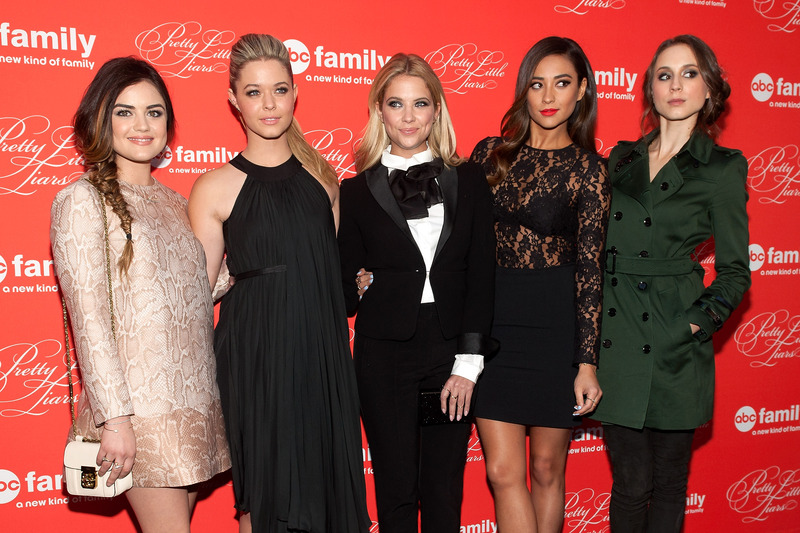 Now PLL's A is pretty dastardly, especially in the later seasons. While we're still trying to figure out if Red Coat and Uber A are the same person, there's no doubt that the character has become pretty iconic. Considering that all of Pretty Little Liars hinges on the identity of the person behind the black hoodie, it's natural that you might start to feel just a little like A. I'm here to tell you that every PLL fan feels that way at some point and we're all in this together. Need some help identifying the signs? Here's seven times you thought you might have thought that you were A. Because it's like getting in the A mindset. The " — A" signoff is as well-known as the hoodie. NOTHING IS CREEPIER THAN THOSE DOLLS. Is it Red Coat or just a trap? We all have those devious moments and, yes, they make us feel like A. Saying "K" might as well be a PLL-level mystery. At least you work through it better than A does.